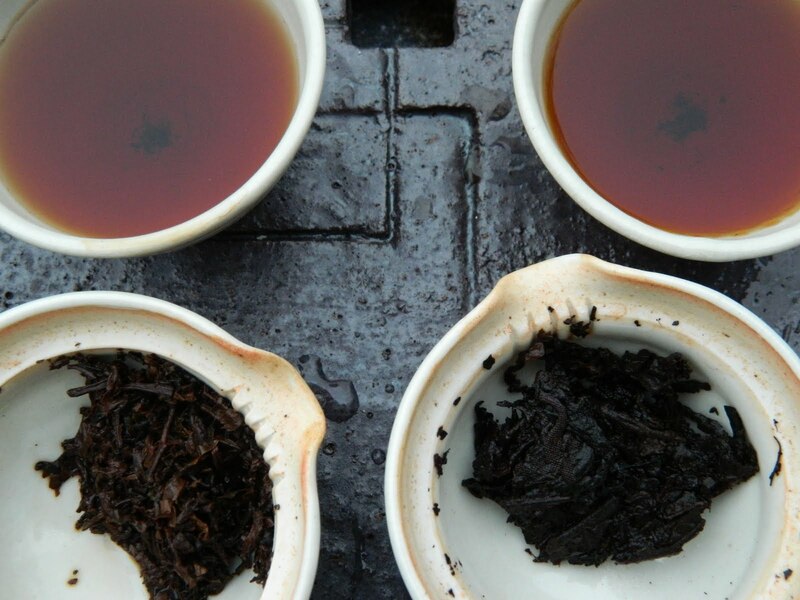 I find a comparing teas as good opportunity to learn. 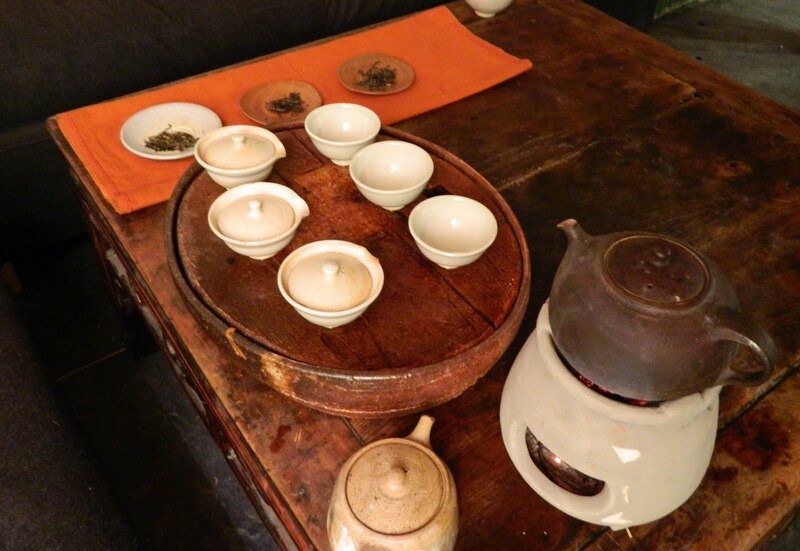 Few tea samples putted in to the line always strain my senses. I use to have troubles to assort my observations. Sometime when I received pile of samples I got lost - drinking them thru several days or even weeks brought to me many great and inspiring tea sessions but also some confusion. My gustative memory is not so perfect and it is not easy to compare tea in my cup with another which was there few days ago. So I have decided to create few, more or less the same, testing sets. I know about standard competition sets, of course. But for my nature, testing with those set was always somehow cold or too laboratory to me. So I have made an attempt to create an alternative. Created from technical porcelain and glazed just by Czech feldspar, those small shiboridashes and cups reflect fragrances in the way which makes me happy. 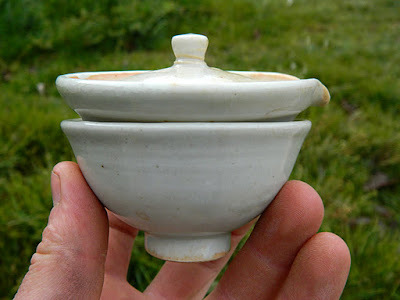 Brews are softer then from most of hard, white porcelain competition sets I have tried. 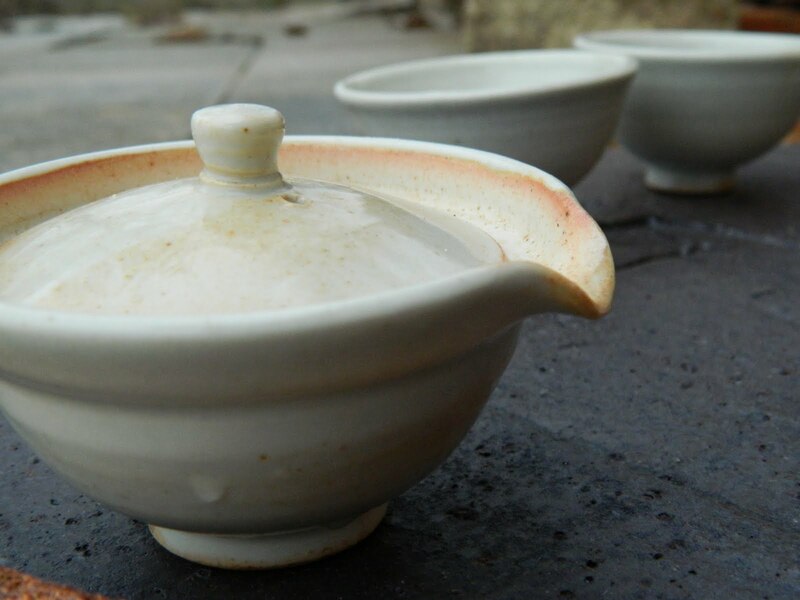 I have taken them out of the kiln in "tea arrival days". In days when couple of boxes with many teas in them have arrived to our doors. Great combination - I have used those testing sets many times since that ! 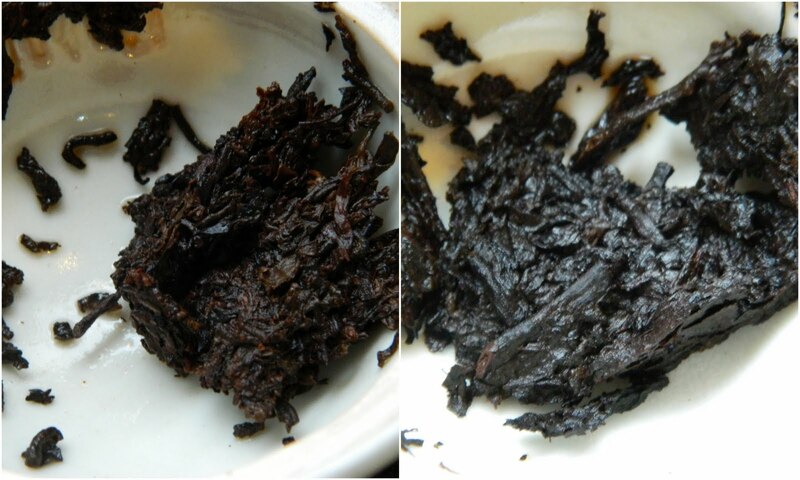 Big difference between those brothers you can already find when looking on dry leaves. The French Export 7581 brick is made of bigger, thicker leaves and stems make it look wild or disheveled. 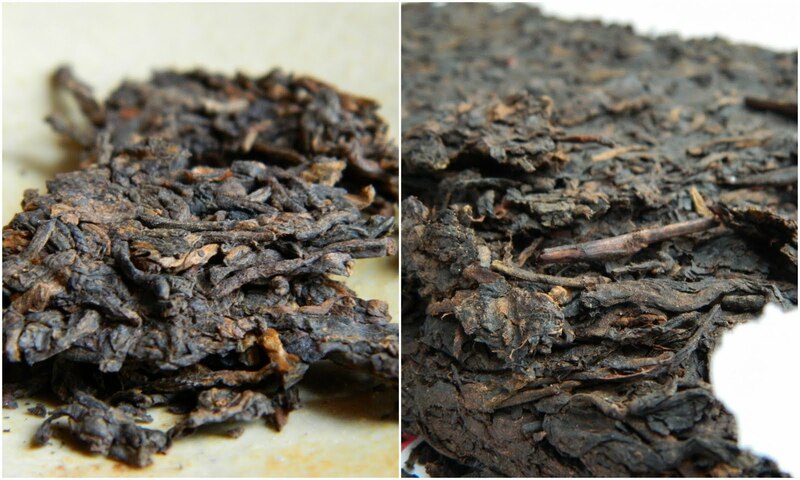 The Golden Brick Shu fulfils its name - small leaves are nice looking and streaked by golden leaves. The difference between leaves is even clearer on pictures of wet leaves. Dark, almost black 7581 compare to brown gold Golden Brick. Smelling to those wet leaves, I have found the basic personalities which went thru the tasting like a fiber. Lighter, fruity and flowery Golden Brick in one shiboridashi and more dry, woody - nutty, like green almonds fragrances of 7581 in the second one. 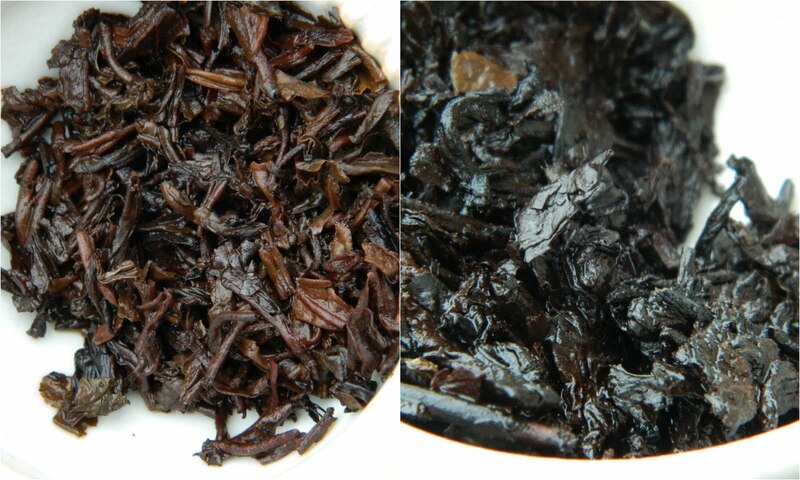 If this comparing should be a competition or race, then during first two infusions The Golden Brick was the leader. But as I said before, I knew what is inside of 7581! Leaves of The Golden Brick show its beauty - brews have full body and strong fragrances. My mind was still looking for names of flowers to link those fragrances with. Chrysanthemums? Honey orchids ? Very tasty, that is for sure. Cup with 7581 started to captivate more attention in second infusion. In third and later brews it become strong but smooth potion. Dry, woody mouth feel with green almonds tastes and long after taste. Hints of resin and forest flowers. On other hand The Golden Brick started to loose its power. Maybe it is just judgment originated from my personal love for character of 7581 brick. 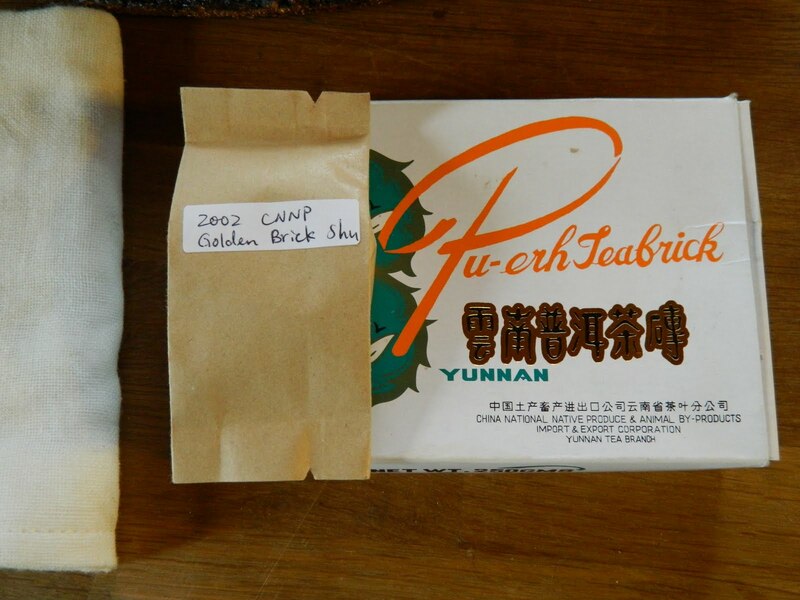 I can also imagine that there is a million tea lovers who will always pick The very nice Golden Brick. And I enjoyed it too. 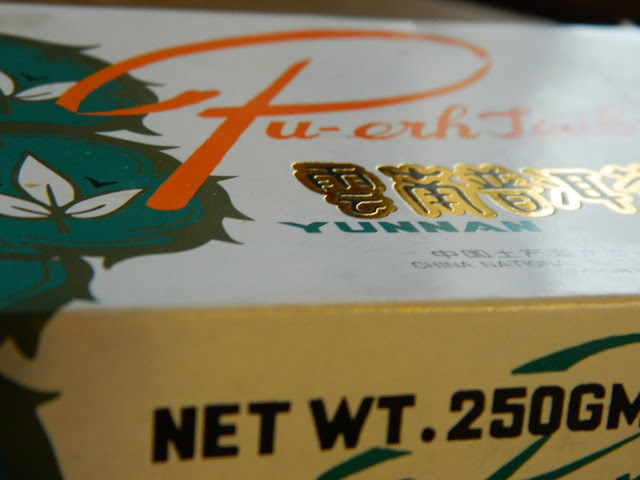 But my heart belongs to Shu from 2002 produced under CNNP and labeled as 7581 French Export. There is a ceramic stove and kettle in that bottom picture!!! Nice. Yes, you got a sharp eye...ha ha. It works and I am happy about it - everytime when I find an time to heat a water this way. I just need to more practice and make more experiments with different charcoals. Look forward to read more about heating water on charcoal on your blog! Your tea setup in that bottom picture is really natural looking- it feels quite right. The old worn wood of the larger table hosting and framing the set. Your ceramic tea table looks rustic and worn- the wood top adds a very nice touch, a re-purposed piece of wood- no doubt. 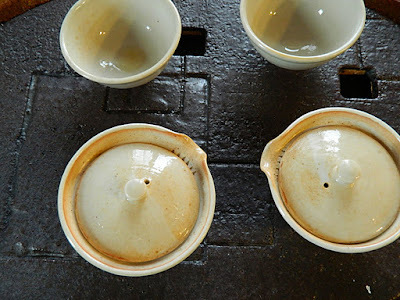 The white ceramic tea stove is very similar in colour to the Uh Sang Myung tea stove on MattCha's Blog. Its lighter colour adding nice contrast to the darker kettle above. The tea stove seems the right size to use on top of the table without overpowering the energy there. How does the kettle handle? It looks like it may a bit difficult to gracefully maneuver? But looks so proper up on top that white stove. Thanks for the picture. Your stove looks great, I could agree with Matt about handle but I understand that as a man who have a lot to do with a fire you have no troubles with such one. Thank you guys for picking up this charcoal topic! Matt: I recently enjoy side by side testing - there is both a lot of fun and as well as it improve the"tea cognizance" Nevertheless you are right - just preparing tea can go deeper. Thank you for your comments on the tea setting. The table is old Chinese game table. Bought in an Antic store (in bed shape) many years ago finally found its place. The tea table is Mirka's (my girlfriend) creation and also the top is ceramic :) Yes, I use it on daily basis. About handling with the kettle: If the handle is on the right side of the stove then it is ok. I have singed my fingers ones - now I always use piece of white fabric. It is soft, quite easy and safe now :) More pictures of the heating set(s) will come. Beautiful tasting set! Your small shiboridashis are excellent. Thank you for your compliments. Great part about those small shibos is how nicely work.